Were Adam and Eve real people? Did all of humanity really originate from these two, or a larger population? Were they created directly by God, or did they evolve from an ancestral precursor? Does it matter theologically? C. John Collins is a Professor of Old Testament at Covenant Theological Seminary. He received a BS and MS in Computer Science and Systems Engineering from MIT, an MDiv from Faith Evangelical Lutheran Seminary, and a PhD in Hebrew Language from the University of Liverpool. 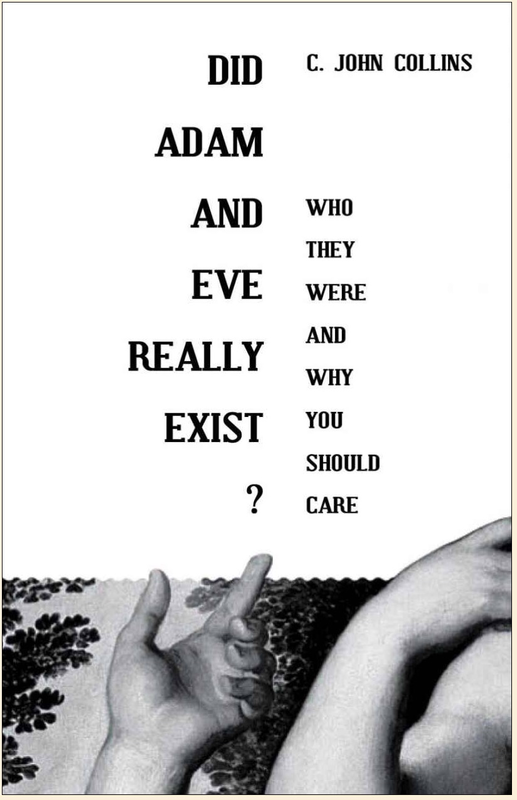 In Did Adam and Eve Exist, Collins addresses these questions. Among theologians, historians, archaeologists, others who study the Ancient Near East (ANE) there has been an ongoing debate over how much of the Old and New Testament narratives contain actual historical events. Within these discussions are further differences concerning the question of inerrancy, and what that even means, and the implications for theology for the varying views. One of the key issues is whether Adam and Eve were actual historical persons, how they came to be, and how their disobedience effects the rest of humanity. Questions of the origin of modern humans are of interest to those both inside and outside the church, however since the purpose of this work focus on theological and pastoral concerns, the scientific aspects, while important, are secondary. Naturalistic scientists are only interested in when where and how humanity developed. However, theologically, we seek to understand how these answers make sense of our origin, problem, and the solutions proposed by Christianity. It is Collins’ view that the relevant texts of the Old and New Testament, as well as ancient non-canonical Jewish writings, strongly suggest Adam and Eve were actual persons. Moreover, the traditional view makes the best sense of our experience, and of Christian theology. 2. How have other writers, especially Biblical ones, taken this person or event? 3. How does this person or event relate to ordinary human experience? Chapter 2 lays out how the entire Biblical narrative fits together. In chapter 3, Collins addresses specific Biblical and extra biblical texts that refer to Adam and Eve. Chapter 4 discusses the implications of human origins for the Image of God, human dignity, and our common experience. Chapter 5 contains an analysis of the relationship between science and the Biblical data, and how this is best approached. In his conclusion, Collins sums up his arguments, their implications, and offers a personal application. Additionally, there are three helpful appendices. The first addresses comparisons of Genesis with other ANE texts, the second is a book review, and the third dealing with the dating of the Book of Genesis. Any critique of this book, in order to be fair, must keep in mind the intended audience. A non-believer in Judaism or Christianity my find this book lacking in a compelling argument for the historical existence of Adam and Eve. However, while there is a publicly accessible argument for their veracity, the bulk of the argument assumes a shared theism, and at least some reverence for the Bible. As such, the critique needs to address the argument being offered, not the ones it does not. Going back to Collins’ criteria, how well does he defend his views? Adam and Eve, as real historical individuals makes better sense of all that follows in redemptive history than a fictitious couple. Moreover, Collins shows that other Biblical writers, as well as texts outside the canon, treat Adam and Eve as real people. Finally, Collins demonstrates the explanatory power that a real couple offers for our common experience. There are aspects of the support Collins cites that are out of date. (Which Collins would acknowledge.) On page 82, Collins cites N.T. Wright from a book where he offers such support. However, Wright has since changed his mind on this. Collins’ book is a valuable resource for anyone interested in the issues of how the grand narrative of the Bible fits together. He makes an excellent case for the historical reality of the pair, Adam and Eve, and the implications this has for theology and for life. He does so with an irenic tone, and a caution that does not go beyond the evidence. Rather than staking claims on issues such as the age of the universe, or even creation versus evolution, he simply shows what can be allowed within a faithful reading of the text in its historical and literary context. His book is accessible for a high school level reader. Did Adam and Eve Exist, as well as Genesis 1-4: A Linguistic, Literary and Theological Commentary are “must have’s” for anyone who cares about these issues.